E-News: What's Coming Up in the Diocese? thoughts which may assault and hurt the soul; through Jesus Christ our Lord, who lives and reigns with you and the Holy Spirit, one God, for ever and ever. Amen. We are thrilled and delighted to have the Most Rev. 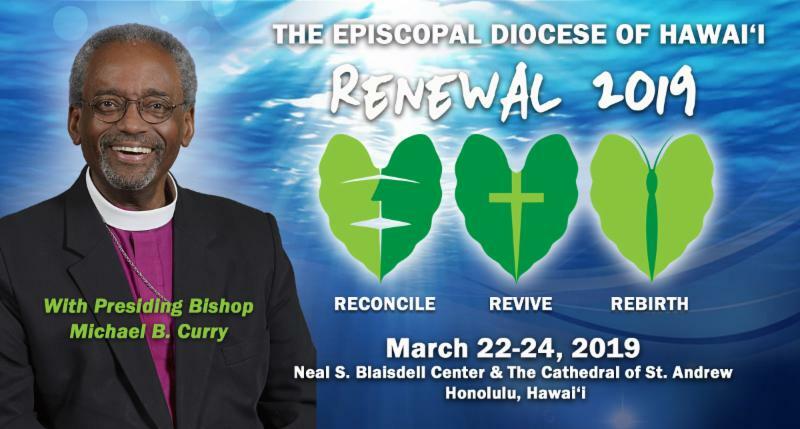 Michael B. Curry, Presiding Bishop and Primate of the Episcopal Church, with us for a weekend of spiritual renewal, worship and fellowship, beginning Friday, March 22 to Sunday, March 24, 2019. Pictured below, our Planning Committee and volunteers led by event organizer Rae Costa (shown leading a volunteer meeting), have been busy getting ready for this very special event that promises to lift, inspire and bring a smile to all! Also pictured are the Rev. Cns. Kate Cullinane and Sandy Graham who have played significant roles in securing guest speakers and ironing out logistics. The Revs. Moki Hino and Jasmine Bostock will be interviewed on Hawaii News Now Sunrise tomorrow morning at approximately 8:30 AM. They will talking about Renewal 2019 and the Sunday service at the Cathedral. For those staying at the Best Western Plaza, the Diocesan shuttle to the Neal Blaisdell Center on Friday and Saturday will be at 7:15 AM & 9:15 AM. There will be only one shuttle at 9:15 AM on Sunday going to the Cathedral of St. Andrew. Return shuttle to the hotel each day will take place at the end of each day's activities. Although the annual Chrism Mass was "preempted" Oils of Chrism, Healing and the Catechumenate have been blessed and will be available for pick up at the conference. The oils will be in the Retail Room. OPTIONS TO WATCH THE SUNDAY SERVICE LIVE! If you can't make it to the Cathedral for the Sunday Service, you now have a couple options to watch it live. Visit the Diocesan website HERE for the link to live-stream video, or tune in to channel 22 or HD 1022 on Spectrum! Note: for those who will be live-streaming, we suggest you log on a little early. Press play, then press pause, wait about 20 seconds, then press play again. This will allow some of the video to buffer so it should stream smoother. There will be a room available to store your bags at the Cathedral. If you will be taking the Diocesan Shuttle back to the hotel, you can leave your bags with bell desk upon morning checkout and then take the hotel’s shuttle to the airport. 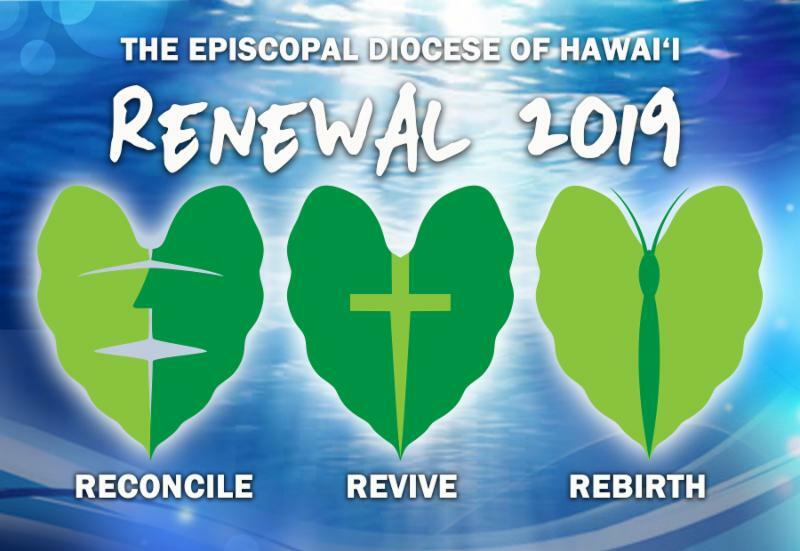 We are encouraging everyone to post and share their photos of the event using the hashtag #renewal2019hi and also #episcopal_hi. 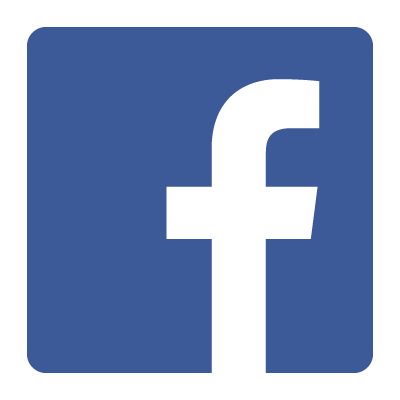 If you are not on Facebook, you can follow along with each days' activities through the Renewal 2019 Blog page! We'll be posting photos, live videos and articles on the activities taking place. Be sure to visit and follow us HERE. For more information on RENEWAL 2019 events, speakers, logistics, etc., click on the button below to visit the event webpage. Go to the RENEWAL 2019 site now! Please join me in welcoming a new staff member to the Diocesan Support Center. Denise Esposito joins our office as “Executive Assistant to the Bishop”. As you know, Irina will be leaving our office at the end of the month – she has been busy training Denise and bringing her up to speed on the work, files, and documents related to her work during this month long transition. Denise joins us with 12 years of experience in the non-profit world. She lives in Hawai‘i Kai with her husband Michael and has 2 daughters named Alyssa and Anna. In her free time she loves indoor cycling and crossword puzzles. If your congregation has an e-News publication or newsletter that you send out, please add Denise to the distribution list. Denise may be reached at desposito@episcopalhawaii.org and 808.536.7776 ext. 302. 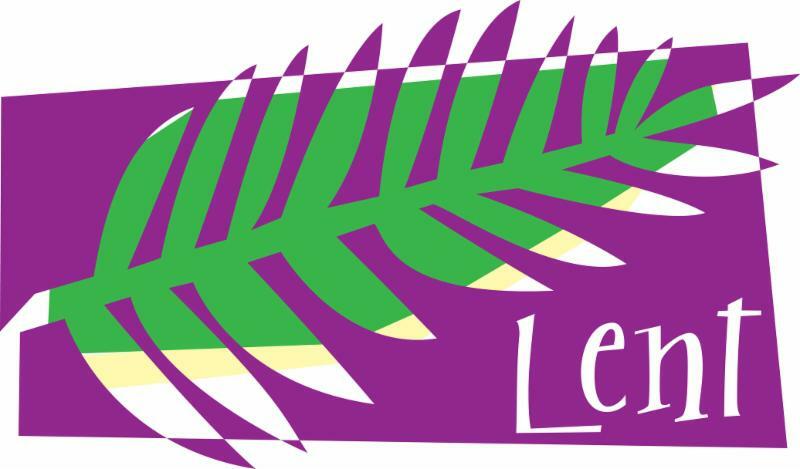 The Diocese will be holding its PALM (Professional Administrators in Lay Ministry) Conference on Tuesday, April 23, 2019, at the Cathedral of St. Andrew, Davies Hall, from 9:30 AM-3:00 PM. All church administrators, secretaries and/or those involved in the handling of church administration are invited to attend this informative workshop. Camp Mokule'ia and the Episcopal Diocese of Hawai'i are excited to announce the first inaugural YOUTH DAY on Saturday, April 27, 2019, from 10:00 AM-5:00 PM (registration begins at 9:00 AM). Youth day is for students in grades 6-12, and will feature guest speaker and worship leader, Easton Davis. Youth will enjoy a full day of worship, lunch, zipline, games, kayaking, paddle boarding and swimming in the pool! Cost is only $10. For more information, download the flyer HERE, or visit their website HERE and register today! The Diocese is pleased to be offering two wonderful opportunities to help churches with grant writing and a new ministry that is taking the Episcopal Church by storm! Mark your calendars and save the dates! More information and registration will be coming very soon! 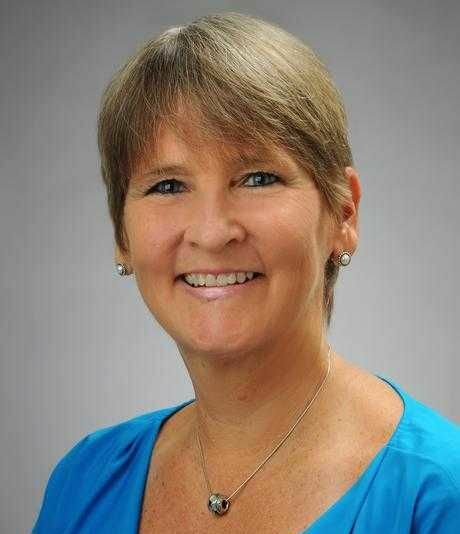 INVITE-WELCOME-CONNECT WITH MARY PARMER - Saturday, September 7, 2019, Honolulu (Airfare covered for neighbor island clergy and two others.) Learn more about this program HERE. Applications are now being accepted for two Diocesan Scholarship funds that are available to students for the 2019-2020 school year. Bishop's Scholarship Fund - Students entering kindergarten to grade 12 entering an Episcopal Church-related school in the Diocese of Hawai'i for the first time. 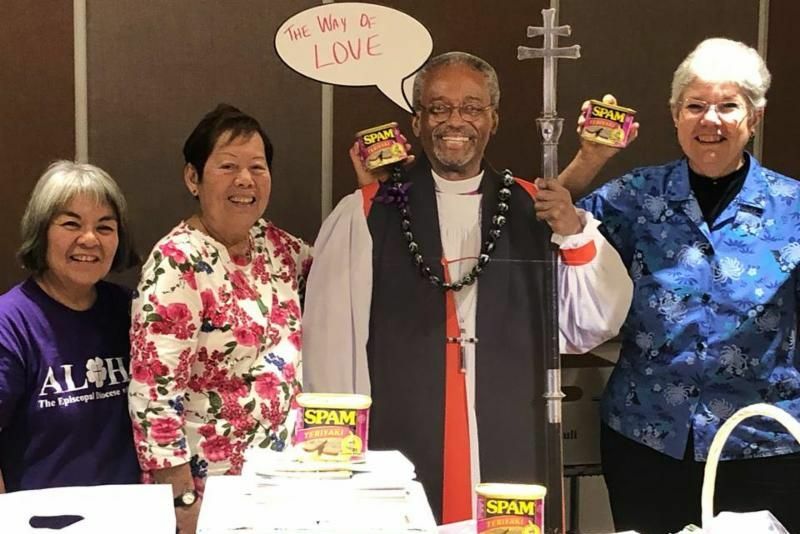 The Chang Clergy Children's Scholarship Fund - Children of clergy under the age of 24 who are canonically resident and domiciled in the Diocese of Hawai'i. The submission deadline is Tuesday, April 9, 2019, at 4:00 PM. For more information, eligibility requirements and to download the application packet, click HERE . Should you have any questions, please e-mail Denise Esposito . The Episcopal Church Women in the Diocese will be holding their annual "Quiet Day" Retreat on Saturday, April 27, 2019 (WAS March 23), at the St. Anthony Retreat Center in Kalihi. The day begins with coffee and light refreshments at 9:00 AM, followed by worship, guided meditation, lunch, and sharing session wrapping up at 1:30 PM. Cost is $20. For more information contact Louise Aloy at (808) 264-9830 or e-mail her. 2019 Godly Play Commuter Core Training on O'ahu will be taking place on April 6, May 4 and June 1. The Episcopal Church in Hawai'i supports Godly Play, and has generously underwritten a portion of the training to help with tuition costs for churches in the Diocese. 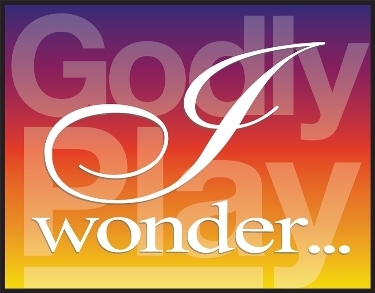 Long time trainer and consultant Jenny Wallace is also in the process of updating the status of Godly Play in our churches and expanding the program into the wider community, and would appreciate feedback and input. You can e-mail Jenny at jennywallace02@gmail.com. For more information, visit the Godly Play webpage on the Diocesan website HERE. Camp Mokule'ia is excited to share their 2019 program that includes five summer camps for children and teens in grades 2 through 12, including a camp on Maui and the Big Island. Early bird rates are in effect until April 5, so plan your summer dates and register soon! To view the different camp options, visit their website HERE. For 2019, they are also offering every Episcopal church in the Diocese $1,000 in camp scholarships. Each church will be given four $250 summer camp scholarships! Contact your church office for more information. There will be a planned giving workshop on Saturday, June 8, 2019, from 9:00 AM-3:00 PM at the Cathedral of St. Andrew, Von Holt Room. Whether your church has an existing Planned Giving Ministry/Endowment or none at all, all parishes will benefit from this workshop, that reviews best practices and empowers leadership to be able to take the best, next steps for their congregation! 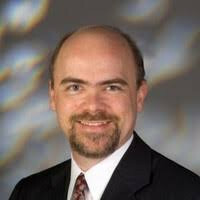 The workshop is being led by James Murphy, the Managing Program Director of Financial Resources for the Episcopal Church Foundation (ECF), who oversees ECF’s Financial Resource development programs and resources, including planned giving, donor solutions and endowment management. He leads workshops and works with congregations, dioceses, and other Episcopal organizations to enhance and develop their programs and resources. The Diocese will cover the cost of airfare for one person from each church on the neighbor island. Please e-mail Peter Pereira for authorization instructions. For more information and to register, visit the event webpage HERE. 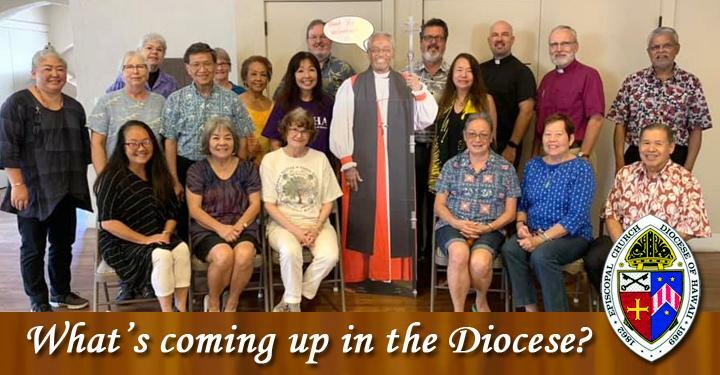 HEADER PHOTO: This issue's header photo features the Renewal 2019 Planning Team and volunteers with a cut out of our Presiding Bishop. They gathered together for a final meeting held at the Cathedral of St. Andrew on Wednesday, March 20. Pictured at far left is Rae Costa, the Business Manager for the Diocese, and who is also the main event organizer. The ordination of the Rev. 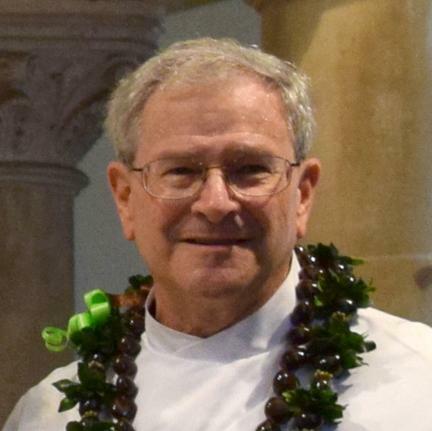 Niel Preston Lentz, Transitional Deacon, to the Presbyterate will be on Saturday, April 6, 10:00 AM in St. Christopher’s Episcopal Church, Kailua. Clergy are invited to vest. Red stoles. If you are available, please join us. The Cathedral has released its schedule of Ali'i Sunday services and Evensongs for 2019, and can be viewed on their website HERE. 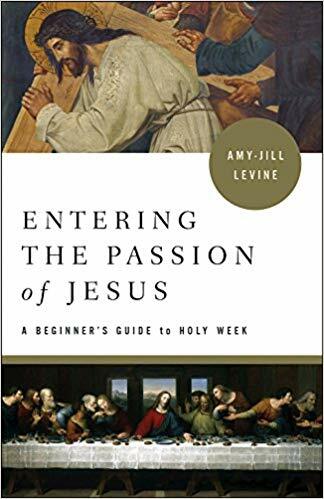 Beginning Saturday, March 9, 2019, we will spend six weeks studying and discussing Entering the Passion of Jesus as we seek to develop a greater understanding of the events surrounding Holy Week. If you are interested in attending the study, please sign up at church on Sunday or contact Mary Margaret Smith by e-mail or phone (808) 821-2878. We want to make sure we have enough books for everyone. St. Michael and All Angels in Lihue will be offering an adult formation Lent program on Christian Salvation. 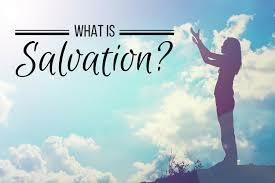 Beginning on Tuesday, March 26 for three Tuesdays, the sessions will begin at 6:00 PM in the church for evening prayer followed by a potluck dinner in the parish hall and discussion on salvation. The idea of salvation through Christ has evolved through the years, and different denominations and many faith communities have a variety of beliefs and points of emphasis. We will take a look at these and then set aside ample time for the sharing of our experiences, thoughts and opinions. This is a great opportunity to “take something on” this Lent! We hope you will join us! St. Michael's is located at 4364 Hardy Street in Lihue. 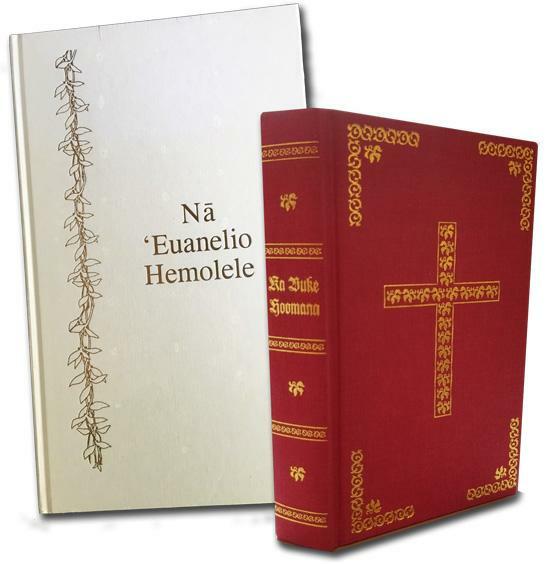 KALAUPAPA SPRING SERVICE RETREAT: "IN THE LIGHT OF RESURRECTION"
ReSource for Christian Spirituality will be heading to Moloka'i for their annual Spring Service Retreat in Kalaupapa, April 24-28, 2019. Join ReSource in the glorious light of the Easter Resurrection and worship with the people of Kalaupapa. Volunteer to clean/paint historic buildings, care for grounds and other tasks. 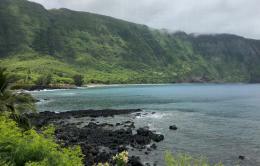 There will also be time to enjoy the pristine beaches, fellowship with stories and music and explore how Kalaupapa and ancient Palestine have many commonalities. For more information and to download the registration form, visit the ReSource website HERE. 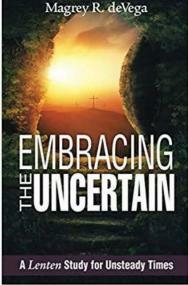 During the Season of Lent, Good Shepherd will be offering a Friday Lenten Bible Study on the book Embracing the Uncertain by Magrey R. deVega. The session will begin with Stations of the Cross at 5:30 PM, light meal of bread and soup at 6:00 PM, followed by Lenten Bible Study at 6:30 PM. Good Shepherd is located at 2140 Main Street in Wailuku. St. John's Episcopal Church will be holding an organ concert on Saturday, March 23, 2019, from 6:00-7:00 PM, featuring Adam Pajan, who will perform on their tracker pipe organ. Dr. Pajan will perform pieces by Bach, Gershwin, Schumann, Mendelsohn, Ola Gjeilo, and others. The concert is sponsored by The Hawaii Chapter of the American Guild of Organists. Admission is free, donations welcomed. 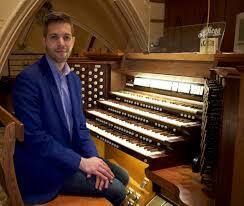 Called “a rising star definitely worth watching” (Michael Barone, Pipedreams) and “unusually able and sensitive” (T he American Organist), Adam Pajan is Instructor of Organ and Shop Technician at the University of Oklahoma’s American Organ Institute, where he teaches students in organ performance, organ technology, and church music. To read more about Adam and the concert at St. John's, click HERE. During the Season of Lent, Holy Apostles will be holding formation classes after each service on Scripture, Tradition & Reason. All are invited. Holy Apostles is located at 1407 Kapiolani Street in Hilo. 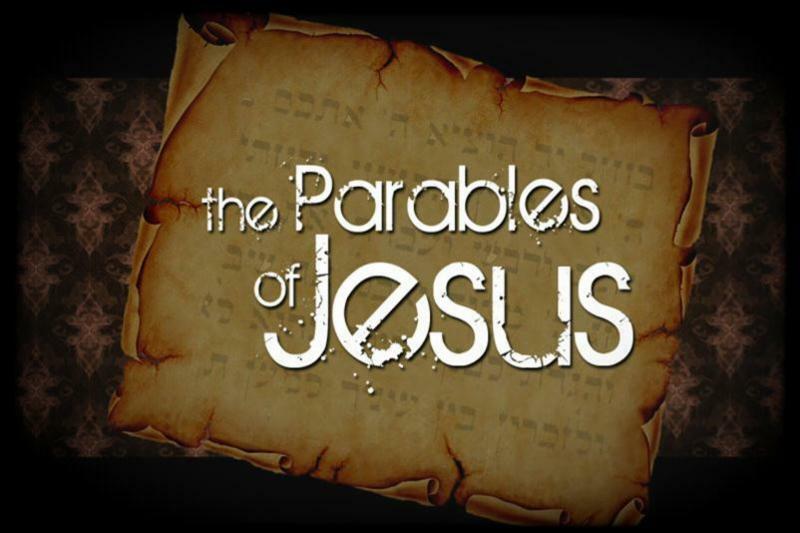 St. Columba's Lenten study program will be The Parables of Jesus, every Wednesday during Lent beginning March 13, 2019, from 5:30 to 7:30 PM. There will be a light soup and sandwich potluck. This will be a DVD series with workbooks provided. There will be time for reflection and discussion after the presentation. We will have a Soup and Sandwich sign up sheet for each Wednesday. Our first time together Soup and Sandwich will be provided by Rev. Linda and Bob. St. Columba's is located at 43-1425 Hauola Road in Pa‘auilo. 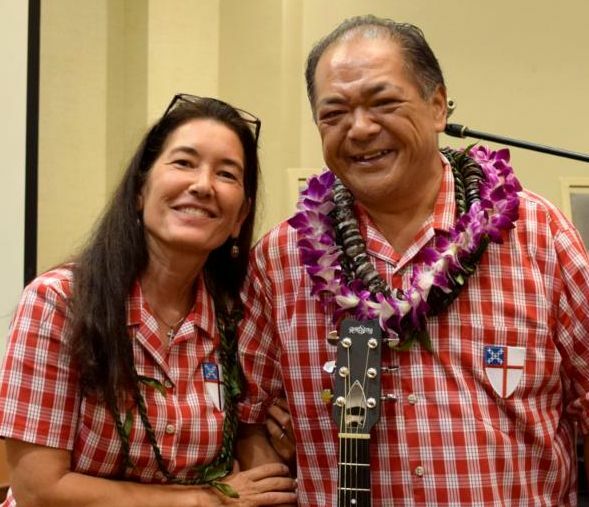 During the Season of Lent, St. Augustine's Episcopal Church will be offering a simple sung service adapted for Slack-key guitar by St. Augustine's Music Director, Mila Polevia. All are welcome to attend this service that will be held Wednesday evenings during Lent beginning at 5:30 PM. St. Augustine's is located at 54-3801 Akoni Pule Highway in Kapa'au. 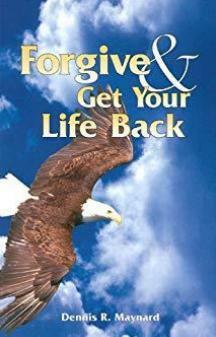 St. Jude's will be reading Dennis Maynard's book, Forgive & Get Your Life Back, for their Lenten Study. They will be meeting at St. Jude's on Thursdays at 1:00 PM during Lent. Forgiveness is one of the hardest disciplines that we as Christians face. Dennis Maynard has given us a path to follow and an opportunity to understand what we need to do to "get our life back" through forgiveness. Holy Apostles in Hilo invites you to join them at their Family Day at the Beach event taking place on Saturday, March 30, 2019, from 10:00 AM -2:00 PM at Onekahakaha Beach. 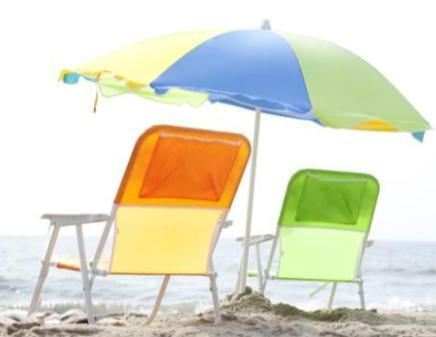 Come and enjoy a beautiful day at the beach, make new friends, potluck to share, family prayer, swim and just relax! For more information, contact Holy Apostles at (808) 935- 5545 or e-mail Family Ministries. The Season of Lent has begun, and that means Lent Madness is in the air and the battle for the Golden Halo has begun! 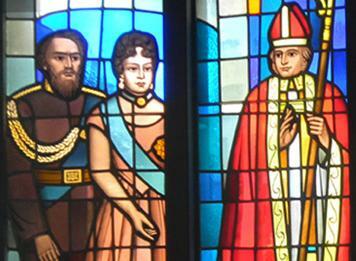 Be sure to cast your vote for the battling Saints throughout Lent, and learn about the many Saints of the Church! For more information and to vote, visit the Lent Madness website HERE. “The Good Friday Offering of our Church is one way to help connect the love of Christ on the cross with our support of the ongoing ministry of love and compassion carried out by our Anglican sisters and brothers throughout the Province of Jerusalem and the Middle East,” Presiding Bishop and Primate Michael Curry wrote to the bishops and clergy of The Episcopal Church. In his Good Friday letter, Presiding Bishop Curry asks each Bishop and congregation to consider providing assistance for the Province of Jerusalem and the Middle East.Information, including bulletin covers and bulletin inserts on the Good Friday Offering, is available HERE. To view a copy of the Presiding Bishop's letter, click HERE. TENS CONFERENCE 2019: GENEROSITY TRANSFORMED! The Episcopal Network for Stewardship (TENS) announces the Generosity Transformed!  Conference that will be held April 30-May 12, 2019, in Indianapolis, IN. Church and organizational leaders will learn how to energize and revitalize their strategies for faithful generosity by connecting their missions, ministries, and resources. More than a typical workshop-based conference, Generosity Transformed! Conference participants will engage deeply in peer discussion groups and subject-based roundtables to develop practical implementation plans, and leave ready and able to help their churches and organizations thrive through transformative practices of faithful generosity. Live streaming of all keynote speaker presentations will be available. For more information and to register, visit their website HERE. New Way of Love resources for Lent and Easter include three components; additional resources from partnering organizations and churches are also featured. 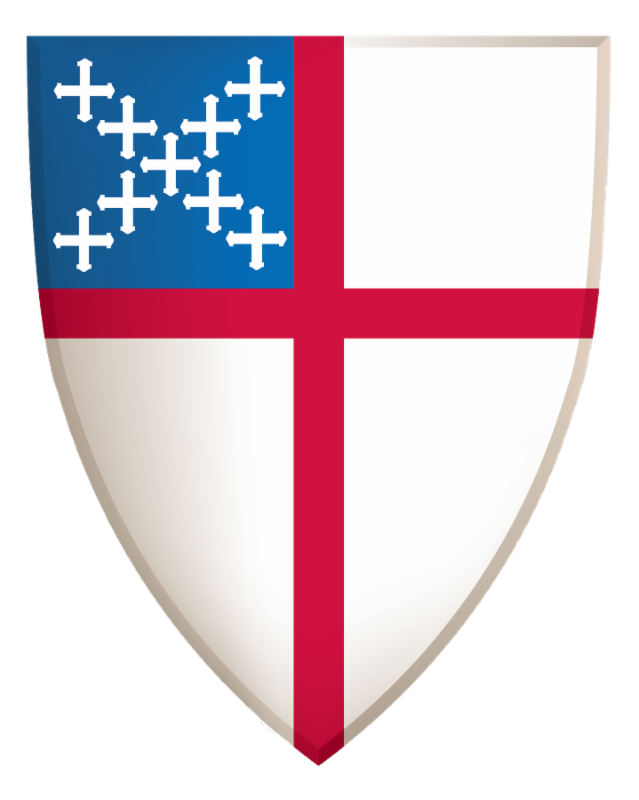 To view the variety of resources available, visit the Episcopal Church website HERE.